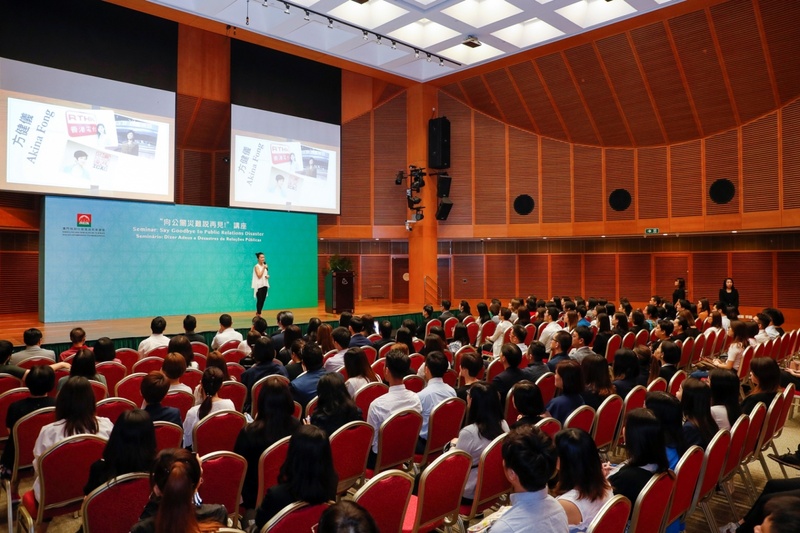 Macao Government Tourism Office (MGTO) organized a seminar on the trending topic of “Say Goodbye to Public Relations Disaster” for tourism industry personnel and MGTO staff. 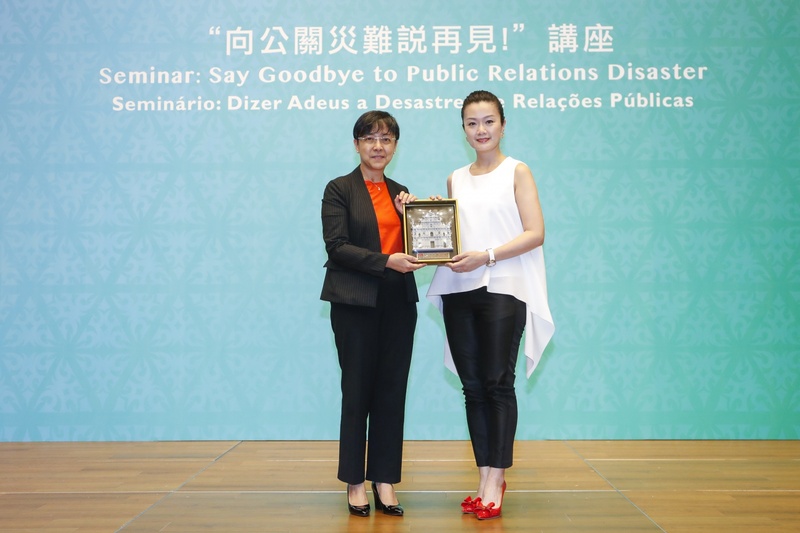 At the Office’s invitation, acclaimed media and public relations expert from Hong Kong, Akina Fong, shared about public relations on social media, disasters that may arise and offer possible solutions to such disasters. 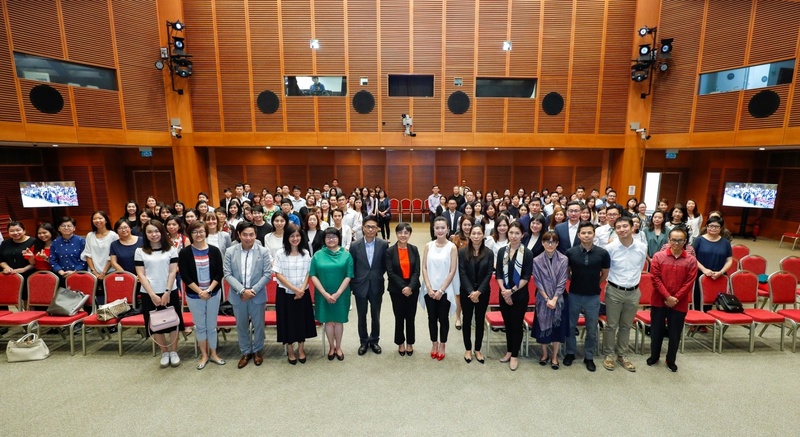 The Seminar attracted close to 170 participants. MGTO Director Maria Helena de Senna Fernandes and Deputy Director Cheng Wai Tong attended the seminar. In response to the swift advance of social media and their application in the field of tourism, it has become increasingly crucial for local industry operators to expand their knowledge on management and use of new media, and refine their public relations skills for enhanced communication with new media. 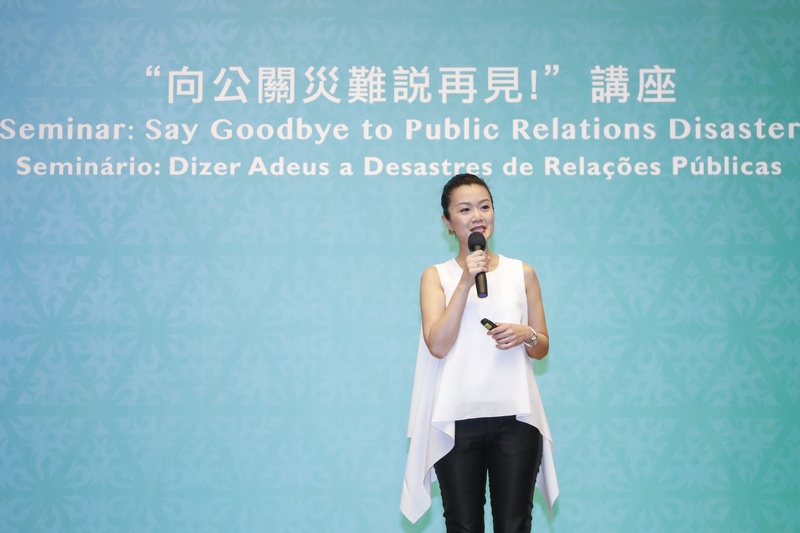 By organizing the “Say Goodbye to Public Relations Disaster” Seminar at the Convention Center in the Macao Science Center today (26 June), MGTO aspires to lead industry operators to a deeper understanding about public relations on social media, potential disasters and their possible solutions, so that they can be better equipped to rise to the challenges in the era of new media. Guest speaker Akina Fong elaborated on the characteristics of new media and how to manage them, besides other related topics. She also shared her perspectives on examples of public relations disasters on social media and offered feasible solutions including her own experience in handling these crises. Industry participants keenly listened to the talk with a genuine interest in the ideas shared. The seminar caters mainly to local personnel working in the tourism and related industries including the hotel and catering industries, travel agencies, licensed tour guides and the retail sector. With her profound experience in journalism, Akina Fong is a well-acclaimed media and public relations expert in Hong Kong. Her career portfolio includes working formerly as a principal reporter at Television Broadcasts Limited (TVB) and a Senior Communications and Media Relations Officer at the Independent Commission against Corruption (ICAC). Today, she is a media professional all-rounded in different areas of multimedia and work including hosting at TV and radio programs, emceeing, teaching at universities as a part-time lecturer as well as offering advices as a media consultant. MGTO regularly organizes training sessions, seminars and workshops for personnel and operators in the tourism and related industries, thereby encouraging and helping them to get further equipped through training and offer more remarkable services, ultimately leading to an overall enhancement of service quality across the tourism industry in parallel with the city’s vision to become a world centre of tourism and leisure.